One of the essential strategies of smart bond investing is diversification to spread the risk and allow you to protect your principal investment. A properly diversified bonds portfolio will contain government issued both short term bonds and long term bonds along with agency bonds, corporate and municipal securities. This way, in case one market sector defaults, you will still have some of your investment properly secured in other types of bonds. Moreover, you can protect yourself from inflation devaluing your principal investment by investing in TIPS bonds or government issued Treasure Inflated Protected Securities that are issued with various short and long term maturity dates by adjusting your principal bond value by the annual inflation rate. Additionally, you can consider buying I bonds that also adjust their principle value by the inflation rate semi-annually. Even though I bonds interest rates are low, you always know that your investment principle is safe and will be paid to you at the maturity date adjusted according to recorded inflation rates. Buy and Hold strategy comes into play when investors are interested in accumulating dividends from bond investing and holding them until they reach their maturity date. One has to carefully look for stable and reliable bonds to insure that bond issuers can live up to their promises and return the face value at the maturity date. High yield corporate bonds might not be suitable for this particular bond investing strategy as these usually come with higher investment risks. Choose only the best municipal bonds or government bonds with high credit ratings to insure stability of your bond investing using a simple coupon bonds formula. To figure out your annual interest returns, you need to multiply the annual coupon rate by the par value of your bond certificate (bond redemption amount). While some investors focus on stable bond investing strategies, others make their goal to maximize their bond interest earnings by investing in high yield corporate bonds. Some corporate bonds with lower credit ratings do pay higher interest rates to attract investors, however, you need to be aware that you might not potentially get your bond principal value back at maturity date due to bond issuers default. High yield bonds are also more vulnerable in harsh economic times. Diversify your bond investing portfolio by including some low risk government bonds. Laddered strategy is focused on adding a variety of bonds with different maturity dates, for example, 1- 3- 5- or 10-year maturity dates. This way as soon as you receive your bond face value back, you can put it back into bond investing at a much higher interest bracket. Additionally, it provides bond investors with a steady stream of cash flow and an opportunity to reinvest funds. Investor is interested in acquiring exclusively short and long term bond investments without purchasing anything in between. While short term bonds provide with immediate cash flow and re-investment funds, the investor is still profiting from higher coupon long term investments. Barbell strategy gives a lot of freedom of choice for bond investors. Timed bond investing strategy with zero coupon bonds. This strategy is ideal for people who do not need immediate cash flow and long term investment is their goal. Many times individuals invest in zero coupons or savings bonds that could be purchased at a steep discount with one goal in mind to provide themselves with a benefit years later, usually when their children go to college or right around the retirement time. This strategy could be coupled with a laddered bond investing approach. 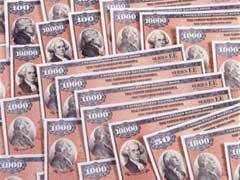 This way your savings bonds will be maturing every year providing you with pay outs when you need them. Bond trading strategy is suitable for individuals who make their goal to buy bonds when the prices are low and sell them at a profit. Since the bond pricing goes almost in the opposite direction with general stock market tendencies, this could be a great way to diversify your asset allocation. This method demands your personal involvement and ability to track bond market movements. Bond trading must only be attempted by experienced bond investors with profound knowledge of the market. Bond index funds allow their investors to spread the risk. Instead of investing in individual bonds, an investor can buy shares from a pool of bonds, thus balancing the risk. This bond investing strategy provides the investors with an ideal way to profit from bonds and does not require personal involvement, necessity to evaluate individual bonds and keep track of various maturity dates. Each bond fund represents a pool of various bonds with multiple investment strategies that could be chosen to match your financial goals. Tax benefits from bond investing for highly compensated individuals strategy. Investing in municipal bonds provides incredible tax incentives for individuals who find themselves in high earning tax brackets. To reduce the tax load, you can choose to buy a variety of tax exempt government or tax exempt municipal bonds with various maturity dates to provide yourselves with steady tax benefits. Bond swapping is another very similar to above mentioned tax benefits bond investing strategy that focuses on selling low performing or failing bonds and buying other similar quality bonds but with higher credit ratings to qualify for tax benefits on capital gains received from other market sectors. I Bonds Interest Rates - How Are They Calculated? Treasury Bills Rates - How Are They Determined? Government Bonds Investing - 7 Mistakes To Avoid!